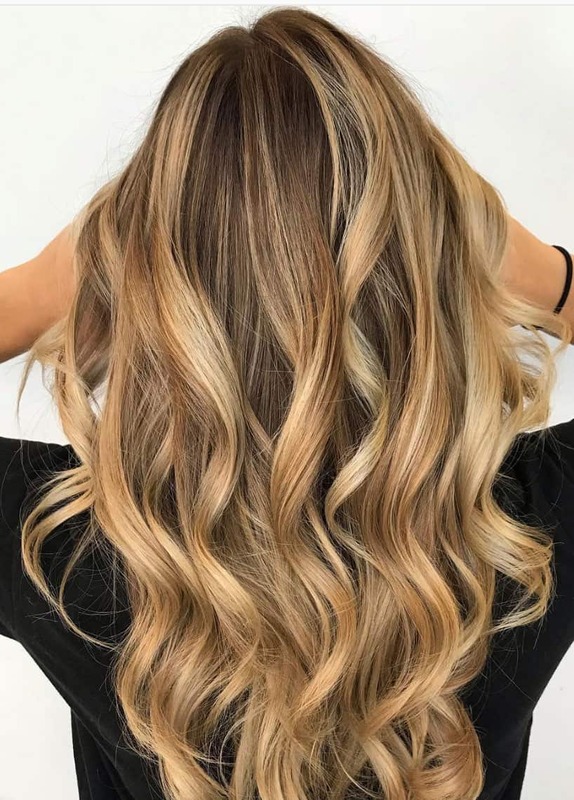 Balayage hair coloring is one of the most popular new trends coming back into the beauty industry and is mastered here at Urban Halo Salon, conveniently located in Arlington just a block from the Clarendon Metro. This French word meaning “to sweep” entails the act of freehand painting of lightener or color onto the hair in delicate hand-picked sections to create natural subtle looks. This highly requested technique allows for less noticeable regrowth lines and enhances lighting and depth all at the same time creating a sun-kissed look. Whether you are looking for intensity or perhaps softness, balayage is an art that was created for those who are looking to set themselves apart from the usual standard Foil Highlights. If done incorrectly, the hair can be damaged so it’s critically important that the stylist be highly skilled at the technique. All Urban Halo Salon’s unique team of elite stylists offering Balayage have had extensive personalized training and have dedicated themselves to perfecting this delicate yet beautiful method. Once your look is achieved, it may be possible to go longer than six weeks without having additional Balayage hair coloring treatments. Some clients elect to come in for toning to freshen up the color in between appointments. Balayage looks spectacular with loose curls or a tousled look and many individuals feel that it looks best on flowing layered hairstyles. It’s not just for blondes! We use Balayage on our brunette and redheaded clients for multi-dimensional color highlights because sometimes hair color that is one shade can look flat and dull. Straight, curly, long or short, Balayage highlights will take your hair to the next level. Is Balayage hair coloring right for you? Give us a call at 703.527.4256 for a free consultation. You won't be disappointed!